Some classes will have limited enrollment. Register early. The Program is the same at both sites. With just about a week remaining to take advantage of our Early Bird Special (details at the end of this notice), you are invited to join us for a 3 day engaging institute focusing on the eight Mathematical Practices and what they look like in the classroom. We are excited to have some of the region’s most influential mathematics educators together to actively engage us in classroom activities that embody the mathematical practices from CCSSM. 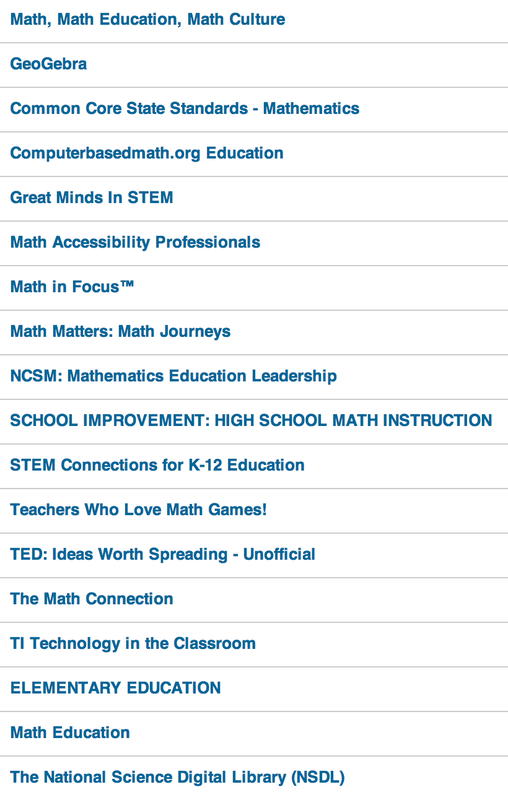 Our complete Program will soon be available at www.atmne.net, but listed below is a sampling of our offerings. The Elementary School Classroom (K-5) with a focus on fractions as numbers. The Middle School Classroom (6-8) with a focus on ratios, measurement, and geometry. “Helping Teachers Engage with the Standards for Mathematical Practice: An Instructional Strategy to "Look for and Express Regularity in Repeated Reasoning"
"Patterns in 3-D Geometry: Concept Development and Strengthening for Math and Science"
The High School Classroom (9-12) with a focus on problem solving using algebra, geometry, and trigonometry. Cost: $350 (includes a light breakfast and lunch each day) for full three days. To attend one day, the cost is $120, and for two days the cost is $240. Early Bird Registration Special: Register before June 15th and pay only $300 for the three-day institute. We are an authorized PDP Provider for the State of MA. Certificates will be awarded for 6 hours at the end of each day. On behalf of the Smarter Balanced Assessment Consortium (Smarter Balanced) and the Connecticut State Department of Education, CTB/McGraw-Hill invites educators to participate in Item Development and Range Finding opportunities. Smarter Balanced is developing an assessment system for mathematics and English Language Arts (ELA)/literacy that is aligned to the Common Core State Standards. The development involves educators, researchers, policymakers, and community groups in a transparent consensus-driven process to help all students strive for success in a global economy. The Smarter Balanced Assessment Consortium places strong value on educator participation in the design of the items and tasks that will form the assessment system. The active involvement of educators supports the sustainability of the assessment system and builds capacity among states. Educators who meet the qualifications outlined below are invited to apply to develop mathematics and English language arts/literacy (ELA/literacy) items for the Field Test to be administered in 2013-2014. 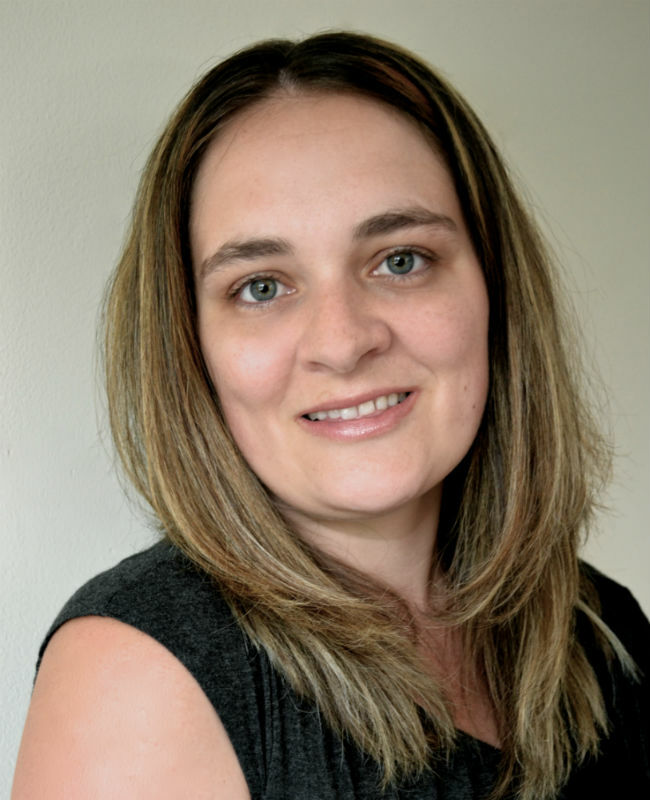 · Currently certified to teach ELA/literacy and/or mathematics in a K-12 public school. · Currently teaching in a Connecticut public school or are currently employed by a public school or district or state education entity, including higher education. · Taught ELA/literacy and/or mathematics in Grades 3 through 8 and/or high school within the past three years or have worked in a classroom content support role such as a literacy or mathematics coach, district or state content specialist, etc. · Previously reviewed the Common Core State Standards for the content area in which they are interested in writing items and/or performance tasks. All educators who are interested in serving as an item or performance task writer must submit a statement of interest that is at least one paragraph in length that describes (a) the reason(s) for their interest in developing items and/or performance tasks for the Smarter Balanced assessment system and (b) their qualifications for doing so. CTB/McGraw-Hill is recruiting educators to participate in item development of selected-response (SR) and constructed-response (CR) mathematics and English language arts/literacy (ELA/literacy) items. Interested candidates can apply by accessing the online application to provide contact information, experience, and a statement of interest. Please complete the online application by Wednesday, May 29, 2013. A limited number of qualified educators from Connecticut will be selected to participate. CTB/McGraw-Hill will confirm educators to serve as item authors from across all Smarter Balanced Governing States. The distribution of educators will represent a balance of geographic regions, grade levels, years of experience, and other demographic data. Potential item authors will complete requisite training and certification before being confirmed. Confirmed item authors will be expected to produce high quality items that fully meet all Smarter Balanced Guidelines and Specifications. Educators who meet the qualifications outlined below are invited to apply to serve as panelists for Range Finding activities beginning in June 2013. · Previously reviewed the Common Core State Standards for the content area in which they are interested in participating. · Previous Range Finding experience (preferred but not required). All educators who are interested in serving on the Range Finding Committee must submit a statement of interest that is at least one paragraph in length that describes (a) the reason(s) for their interest in Range Finding activities for the Smarter Balanced assessment system and (b) their qualifications for doing so. This spring, Smarter Balanced administered a Pilot Test of the assessment system to a sample of schools across the country including Connecticut. Through this Pilot Test, Smarter Balanced will gather information about the performance of assessment items and the test delivery system. CTB/McGraw-Hill is recruiting educators to participate in Range Finding Committees to review student responses, recommend anchor papers, and validate rubrics from the Pilot Test. The committees will meet on-site in Sacramento, California (ELA/literacy) and Durham, North Carolina (mathematics) for each Range Finding opportunity. Educators will be expected to attend all four days and will review responses with other educators to discuss scoring expectations and to define the anchors and rationales for scoring. The table below outlines the dates and location of each Range Finding opportunity. Interested candidates can apply by accessing the online application to provide contact information, experience, and a statement of interest. Please complete the online application by Sunday, May 26, 2013. A limited number of qualified educators from Connecticut will be selected to participate. CTB/McGraw-Hill will confirm educators to serve on the Range Finding Committees from across all Smarter Balanced Governing States. The distribution of educators will represent a balance of geographic regions, grade levels, years of experience, and other demographic data. CTB will provide lodging, travel costs, and applicable reimbursements to each confirmed participant which may include substitute reimbursement. Additional travel and contract information will need to be completed for those educators confirmed. For additional information, visit the Connecticut State Department of Education site (http://www.sde.ct.gov/sde/SmarterBalanced) or contact Joe DiGarbo at 860-713-6863 or Joe.DiGarbo@ct.gov. Be part of Connecticut’s State Network of Educators! As a member of the Smarter Balanced Assessment Consortium, the Connecticut State Department of Education invites educators who have significant experience in formative assessment and deep knowledge of Common Core State Standards (CCSS) to join Connecticut’s State Network of Educators and help review professional learning resources for the Smarter Balanced Digital Library. Smarter Balanced is committed to providing resources, tools, and professional learning opportunities for educators, so that they can tailor instruction to student needs based on information from a coherent, balanced assessment system. The heart of the formative practice resources is the Digital Library. The Digital Library is an online, user-friendly, searchable library for educators that will contain only high-quality, vetted resources. It is interactive and allows educators from member states to use and rate resources and collaborate. The State Network of Educators will be comprised of qualified K-12 teachers and administrators and higher education professionals with experience with the following student populations: general education, gifted and talented, English language learners, and students with disabilities. You are invited to be part of this opportunity where you will collaborate with educators from other Smarter Balanced states. Selected team members should be available to commit to days between September 2013 and September 2014. For more information, visit the Connecticut State Department of Education Web site (www.ct.gov/sde/SNE). The link to the online application will be available through Monday, June 3, 2013. Direct questions to Joseph Di Garbo, Connecticut’s Teacher Involvement Coordinator, at 860-713-6863 or Joe.DiGarbo@ct.gov. Dr. Shelbi Cole was our guest on May 16th for a Dine & Discuss on the Smarter Balanced Assessment Consortium. Dr. Cole's PowerPoint presentations are now available on our Members-Only page. It is clear that we need to collaborate to help us prepare our kids for this sea change (we hope) in education. There are many resources out there, and it's hard to sift through them to find the good ones. Here is a list of inexpensive memberships to sites with rich problems, as recommended by a 23-year veteran teacher and admired blogger. Hope it helps! The world of social media is rapidly expanding to include valuable resources for educators. Here are a few tips for beginners on some of the web's most influential sites. Max Ray introduces Twitter far better than I can! This is from NCSM in Denver last month. Have your students registered yet for CAMPY on Campus at Southern Connecticut State University on May 14, 2013? The program is awesome! There is scholarship money available! Don't miss out on your chance to hear the latest news on SBAC assessments from Dr. Shelbi Cole.